Identity theft protection is a kind of insurance that acts as a shied whenever any identity theft occurs. This type of protection is usually offered by credit card companies, banks, and companies that specialize in this. If you want the best protection, there are some things that you should know. You should always check the reputation of the company to see whether they provide quality service with their customers. The company should also be able to provide you with a firm security and notify you with fraud alerts, pin number verifications, voice verifications, and credit freezes. An identity theft protection company should will be able to assist you with a full recovery of your information if there is any sort of identity theft. They will file the reports, recover the stolen information, and dispute any unauthorized transactions. Companies such as Trusted ID, Life Lock, Identity guard, ID Watchdog, Protect my ID and Debix are some of the most well known and bests identity theft protection companies in America today. 1. If you are going to throw away a document, always completely destroy all the papers that contain important personal information such as credit card numbers, contact numbers, passwords, and financial information. 2. Always protect the your social security number. Never put it on checks. Be cautious in bringing your card that contains your SS card out in anything that could be lost or forgotten. 3. Credit card receipts should never be left behind. This can also provide important information to others. 4. Keep your mailbox locked. Try not to mail outgoing payments or your bills from home. 5. Do not use credit cards in suspicious places. And when you pay using credit card, observe where they swipe it. 6. Check your credit card bill for any unknown purchases. Many time times the thief will begin with small purchases to avoid awareness. 7. Ask for your free credit report at least twice a year. Having a credit report with you will enable you to see what’s going on. If you see something not right, you can always report it to your credit card company and let them solve the problem or explain why that showed in your credit report. If you have been rejected for a loan, credit card, or mortgage, it is usually because your credit score has been deliberately stagnant probably due to missed payments. Rejection is somewhat hard to accept, especially if the reason for the refusal is not clear. Lenders make use of credit scores to distinguish who will be granted a loan. They also determine the rate of interest and credit limits based on credit scores. Creditors will require copies of your credit report whenever you apply for a loan. These requests accumulate points which are added to your credit score and remain on your report for a span of 3 years. The points will then be deducted from your score, if you obtain points that are more significantly more than your credit. One way to manage and tally these requests is to obtain a copy of your free credit report. These are the same reports as the ones viewed by creditors when you apply for a loan or a credit card. At the event of loan rejection, the lender will be required to disclose the reason for rebuff, which will clue you into your credit and any fixes needed. President Obama recently signed a financial reform bill mandating lenders to provide a credit score copies to the consumer. They will send the copy that they used to come up with the decision of refusal for the loan. Lenders will also need to provide a free credit report if a loan with a greater interest is being given over the rate given to borrowers with a good credit record. The law guarantees that you’ll get the precise score that was used as a basis for the loan acceptance. Lenders and credit bureaus utilize different scores to assess borrowers’ credit standings. That simply means that mandating free credit scores for everybody might be a problem. So for your convenience, free credit scores are also made readily available by means of subscription to one of the several credit report monitoring services provided by the credit bureaus themselves and other reliable sources. The federal government demands consumer reporting companies must supply a free credit score copy per client’s request once every year. The best way to avoid any problems is to determine if there are any doubtful situations before applying for the loan or credit card. Acquiring a free credit score on the internet will help you check out all aspects of your credit report. It will help you gain a better understanding of what would need to be done to fix any damages. It saves you valuable points that add up every time you are rejected for a loan and will eventually lead to greater results of loan approval with smaller interest rates. There is only one word that describes identity theft, FRAUD. 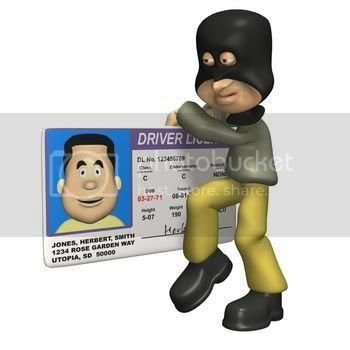 When someone steals your identity they not only steal your name but also control your credit history, credit score and have access to all of your assets. While you may have spent years carefully managing your finances to give you a better chance to buy a house and lower interest rates for a car loans, the Identity theft fraudsters come through, ransack your accounts, and benefit from your hard work. This can happen in a blink of an eye and will leave you picking up all the pieces before you even have a chance to realize what happened. Sounds frightening and difficult, right? That is why It is a good idea to have an identity theft protection service in place before you need it. This precaution will stop anyone other than you from accessing your information for illegal use. How can you tell someone has stolen your identity? There are signs that the cautious person can catch early to avoid disaster. Check your statements for any charges that you don’t remember. Fraudulent charges may start small to avoid alarming anyone initially. Take notice of when you receive your bank, credit, and mortgage statements whether by email or postal mail. The thief could change your address without your knowledge to remain undetected. It is important to notice any changes like missing bills. The best way to prevent identity theft is to monitor your credit report and enroll in an identity theft protection service. These companies will monitor your credit daily and prevent any unauthorized use of your name and social security number. There are many levels of identity theft that occur every day, and each type has a specific solution. Therefore, you would need to identify the type of theft that has happened to you. The simplest form of identity theft is credit card fraud, which means someone has stolen your credit card number and used it. Usually, the credit card companies will reverse the charges and start their own investigation. Once the charges have been reversed, the next step is to call every one of your credit card companies and ask for a new account number and card. From the information of one credit card, the thief could now have your name, address, and social security number. This is all they need to steal your identity! Your next step should be to obtain a credit report and inspect it for any other fraudulent charges, loans, and accounts. So even smallest form of identity theft is be difficult and time consuming. There are many ways to obtain identity theft protection online. Once you contact the reporting agencies, tell them you have been the victim of identity theft and fraud, and they should give you a copy of your credit report. Everyone is entitled to one free credit report each year. You can review identity theft protection products to see their free trial offers for credit monitoring and identity theft protection services. You can also check comparison sites to view identity theft protection offers side-by-side to find the best one for your needs. It is cheaper to learn from other people’s mistakes than to learn from trial-and-error. That’s why it is important to find out the experiences of people who have “been there, done that” especially with regards to financial management. Some wish they can go back to their 20’s to undo the mistakes of the past. Meanwhile, there are others who regret the financial decisions they made earlier. Saving 10 Percent of Your Income – instead of spending all your salary as soon as you receive it, save 7 to 10 percent. Many people regret their free spending ways. For instances, by saving a little bit of money every month, you may be able to buy a nice house outright for your retirement in 30 years. Waiting Too Long – when it comes to money, not doing anything is a decision to do something. By postponing the decision to start an IRA in your early 20’s, for example, you will have less investment for retirement and you may also need debt help. The same is true in other things, if you can afford to buy a house today, it might be a good idea to buy because inflation might drive it up over the short or long term. Making Transfers Inconvenient – some people do get the idea. Many couples today actually have a separate “emergency” account that receives automatic savings. But that money is a temptation and you may need debt help because of this. By making it hard to transfer money to your checking account, you are likely to spend less as well. Also, make that “emergency” money almost impossible to reach for impulse buys. These are just some of the actions you can take starting today. There are many financial decisions you that need to be made every single day. Plan and choose your next move carefully and get debt help as soon as you need it.